This gorgeous blouse is perfect for dressing up and down by pairing it with both lounge and dress trousers. 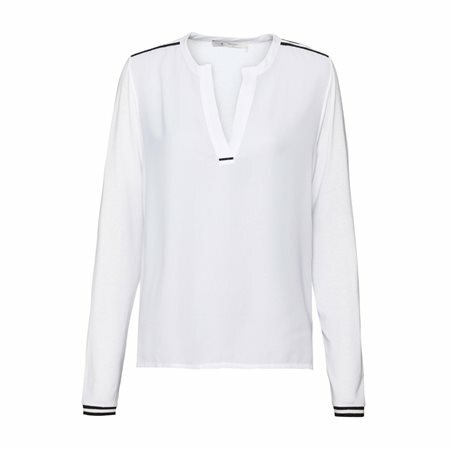 This is a loose fit blouse with a low V-neck with black and white stripes up each side and along both cuffs. This blouse is slightly sheer on the body and soft to touch.